High quality. Low prices. It’s quite simple. 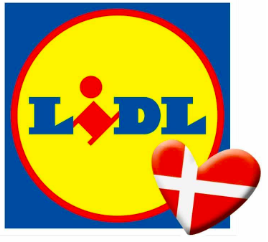 It’s Lidl. What started as a small, independent grocery wholesaler in Germany is now one of the largest grocery retailers in the world – in fact, we are Europe’s largest. We have more than 225,000 employees and 10,000 stores worldwide. In Denmark, we strive for constant development, and our vision is clear: We want to redefine Danish discount. Our strategy for the future is ambitious – both in terms of growth and in terms of CSR; we work for a sustainable future by making a positive impact on our employees, our environment, and our society. We focus on what matters – results and quality. Looking to start your career with a rapidly growing international company? We need people like you to make Lidl possible. We’re constantly on the lookout for highly-talented and ambitious students and graduates with a can-do attitude. If your ambitions are as big as ours, you will not find a better match – or better opportunities to make them reality. You succeed at Lidl. Currently, our Danish HQ is located in Kolding. But, in 2021, we will be located right in the heart of Aarhus. Here, you can start your corporate career within controlling, HR, purchasing, communication, marketing, facility management, logistics and more. Or you can join our International Graduate Programme, where we develop our Lidl-leaders of tomorrow. You can also meet us at the Master Case Challenge 2018 as case partner. The Lidl case will be announced at the event.